Avail 30 Day Free Returns if you dont like your product quality. Enjoy free delivery on your all orders over £50. Buy now amazing tessa ivory satin clutch only for £15.99. Grab 15% off on your all orders when you sign up at XY London. Purchase now amazing bridal collections just for £11.99. This danielle gold diamante sling backs flat sandal is perfect for holiday, beach, day time, special occasion, party, wedding, prom & more. Make all your girls jealous in our gianna stiletto heels. Features unique strappy front design with ankle strap. This larissa ivory satin diamante stiletto heels is ideal for special occasion, prom, wedding, going out and more. 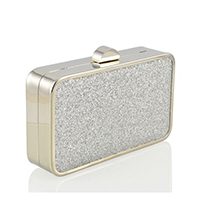 Bernice silver glitter box style evening clutch bag with inner back wall pocket and detachable long metal shoulder chain. Get more 30% discount XY London coupon codes and promo codes to save in 2019. For more amazing Coupons and deals visit SavingsFree.com.